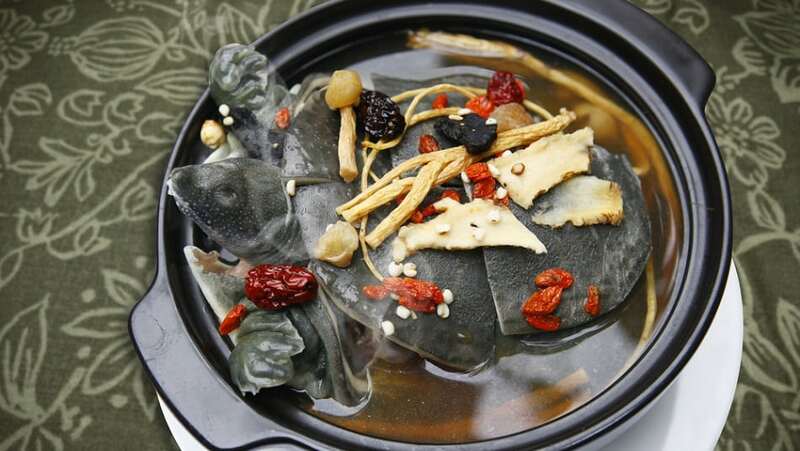 Turtle soup, made from the flesh of the turtle, is a Chinese delicacy. The soft-shelled turtle was commonly used for turtle soup in Singapore while the snapping turtle, found mainly in the US was typically used there. The meat, skin, and innards of the turtle are used in the soup. Turtle soup was U.S. President William Howard Taft’s favorite food. He brought an experienced chef into the White House who specialized in this dish.